This week our Big Readers Series is back with Sharks emergent reader! It's a great little ebook for kids around a first grade level to read online or print and read in real life! 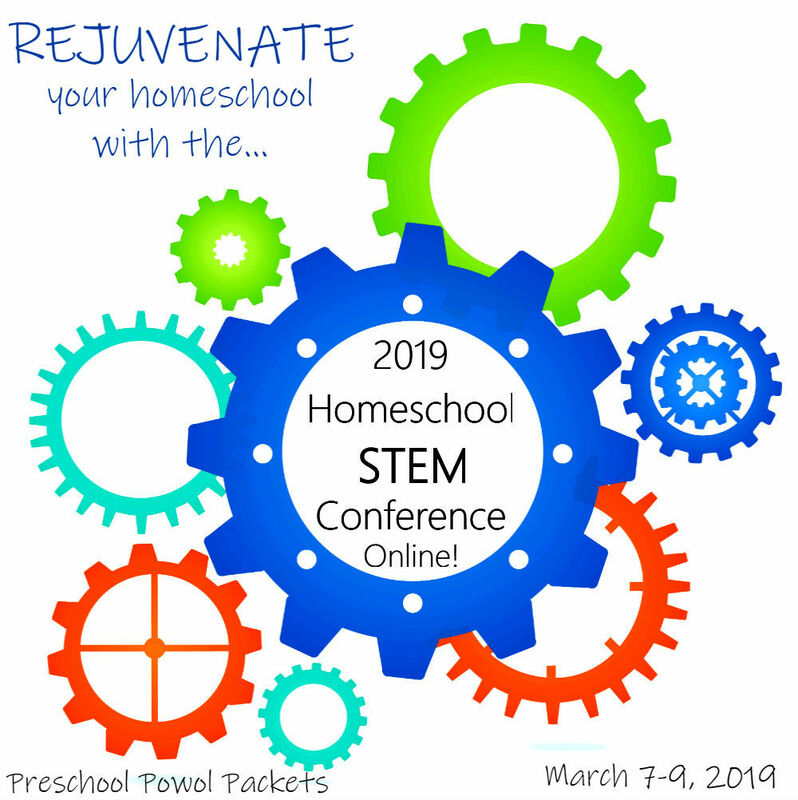 It is perfect for homeschool, after school, or even just for fun! 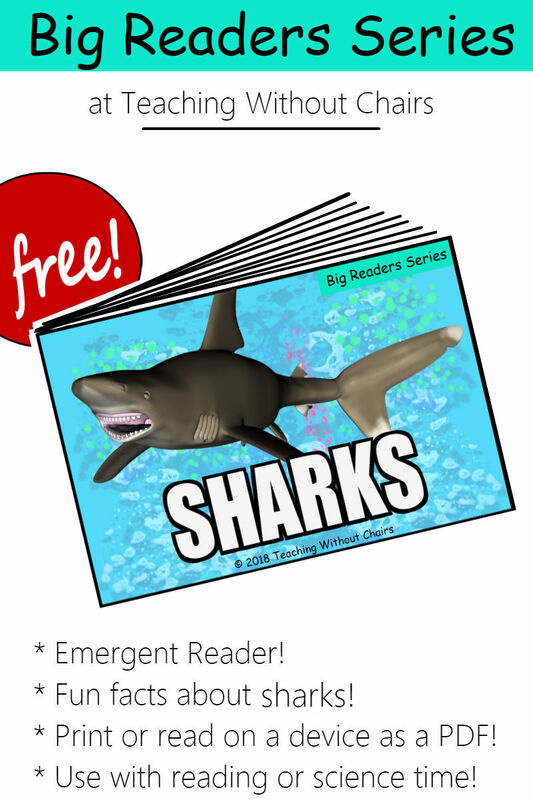 Sharks is a little bit harder than the other emergent readers...it has words like "ocean" and "electricity" and a couple longer passages. But, they are offset by a couple very short passages and some super cool artwork! It first took my son about 10 minutes to read, but after reading it once a day for a couple days, he's down to 5 minutes. I especially love that it's shark themed because Shark Week is coming up and we seriously LOVE to celebrate it! 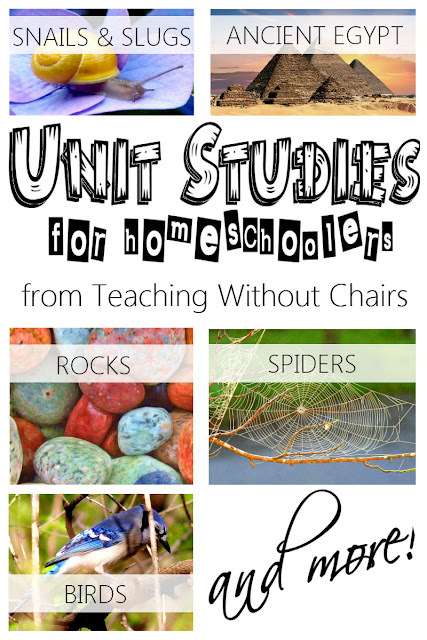 It's one of my favorite homeschool unit studies every year! 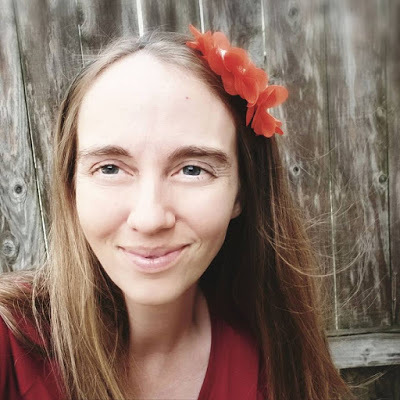 Anyway, if you have an emergent reader and would like to request a topic, shoot me an email! Otherwise, I'm trying to get one on my list up each week. I printed a copy out, stapled it together, and we're reading it once a day for 4-5 days. And, like the others, my almost-6th grader still thinks the facts are super fun and totally worth the whole one or two minutes it might take her to read! It might have been super easy for her to read, but she had a great time doing it! 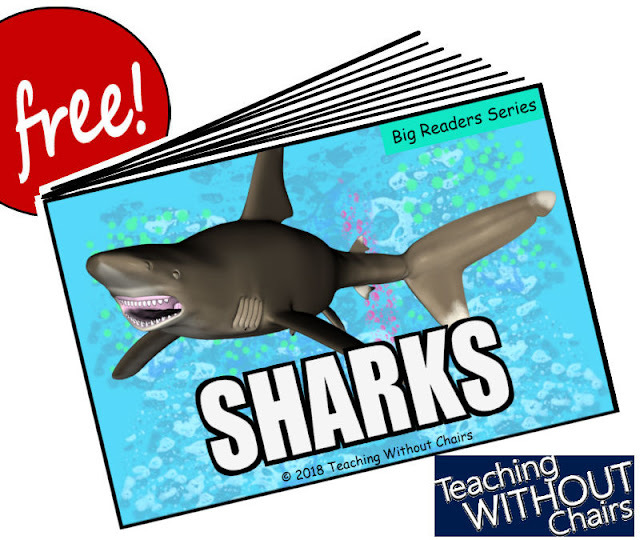 And you could easily combine it with other shark or ocean animal activities as part of an exciting homeschool Ocean Unit!